Engineer at Airbnb Joined about 5 years ago via an invitation from Matt C.
Arthur hasn't posted any stories yet. Happy New Year from your friends at DN Paper. 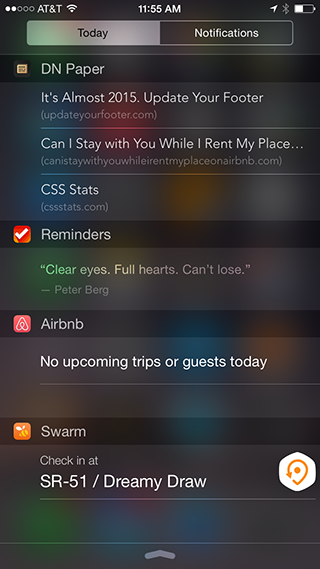 Version 1.5 delivers top stories directly to your Notification Center. Based on your feedback, we made a few UI improvements to user profiles and web views. Thank you for your continued support and feedback! Whoops my bad! We'll enable autocorrect for the next release. Thanks for the great feedback! Thanks Daniel, glad you're enjoying it! We're working on a fix for those gray link colors for the next release. Thanks for the feedback! AMA: I'm Matias Duarte, a VP of Design at Google!